The music on these two discs conveys a spirit of grown-up charm, clarity, bell timbres, catchy rhythmic cells and gamelan fertility... On the technical side we get first class piano sound. The project is lifted by the great artistry of Bernard Roberts – excellent both in the articulation of much dazzling fast music and in probing the poignant heart of the more reflective sections. It feels incredibly special to have had this concerto written for me. It actually also turned out to be Stephen’s last composition, and so it is even more of an honour to be the recipient and to have had the chance to work on it with him. I have since gone on to perform various other new works, but this concerto will always be my most treasured commission. 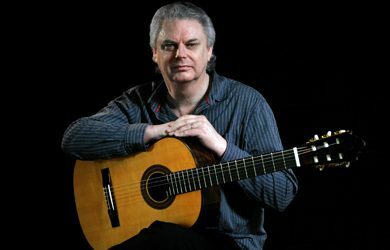 Bernard Roberts' playing is excellent throughout especially in the way that he can articulate the differing passages and intensities within a single movement... I found this disc to be rewarding and a fine addition to my growing catalogue of Stephen Dodgson discs... 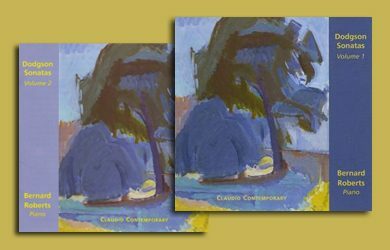 These works have for far too long been hidden in the shadows of his works for guitar... A worthy investment for anyone interested in twentieth century piano music in general and the music of Stephen Dodgson in particular. 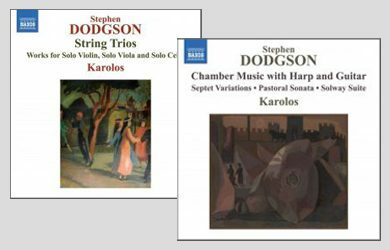 Announcing the reissue of Stephen Dodgson's Piano Sonatas Vols. 1 and 2, recorded by the late Bernard Roberts in close collaboration with the composer. 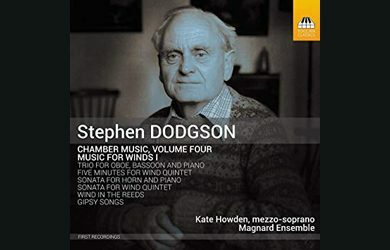 Announcing the release today of the first instalment of the Toccata recordings of Stephen Dodgson's music for winds, performed by the Magnard Ensemble. 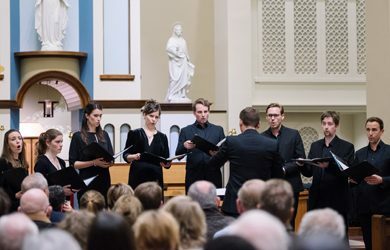 Much of the repertoire brings his sense of fun to the fore, often through rhythmic mischief or an insouciance that recalls Poulenc, but it also has that particularly English strain of lyricism that suggests the impermanence of beauty. Solway Suite once again demonstrates Dodgson’s impeccable credentials for creating haunting melody, pastel colours and agreeable illustration, and for varying moods... Given the top-notch gallery of players, it is only necessary to relate the excellence of the performances, individually impressive and with meaningful interaction, and the recording captures every sound and nuance. 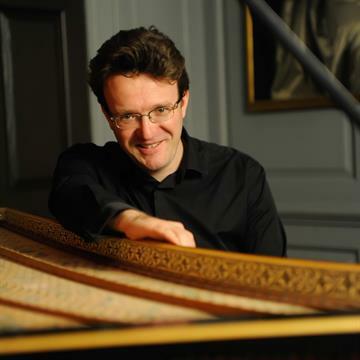 "Stephen's Concerto No.1 is modern but very appealing – melodic without being ingratiating. The orchestral writing is beautiful but still allows the guitar to cut through. Much as I like the concertos by Rodrigo et al, I find Stephen's work more interesting and concise. I was itching to play it." 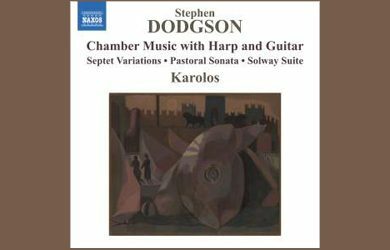 These two discs comprise over two and a half hours of Stephen Dodgson’s strongly crafted music, beautifully played... 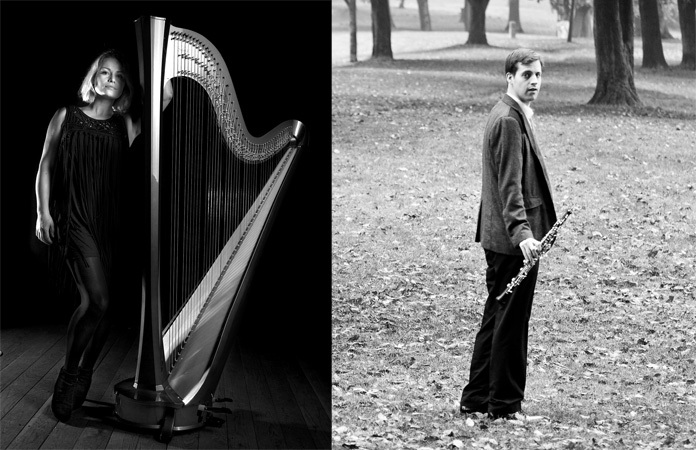 Both discs are an absolute joy, the performances little short of ideal, perfect in intonation and ensemble, lively and delicate as required. On a personal note, I absolutely love Stephen's Dormi Jesu, and it works so well in this programme – it's a wonderful moment when, at the end of the unconducted trio which has them absolutely mesmerised, you can hear the audience's audible exhalation and you realise they've been holding their breath in wonder!